TAYLOR M. TYLER – Collins, Zorn & Wagner, P.C. Taylor M. Tyler is an associate with Collins, Zorn & Wagner. 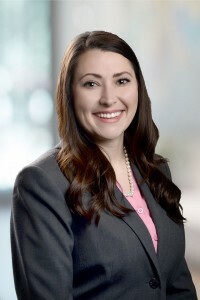 Taylor joined the firm in 2017, immediately after graduating from Oklahoma City University School of Law. Her practice focuses on a variety of areas, including general civil litigation, civil rights, governmental, insurance defense, labor and employment, and personal injury.